Over the last12 Months, 4 major artists have died, Lil Peep on November 15, 2017, Avicii on April 20th, 2018, XXXTentacion on June 18, 2018, and Mac Miller on September 7th. Lil Peep and Mac Miller died of an overdose and will be the main talking point of this article. Avicii who killed himself and XXXTentacion who was murdered will not be talked about as much though their deaths are sad and melancholy. 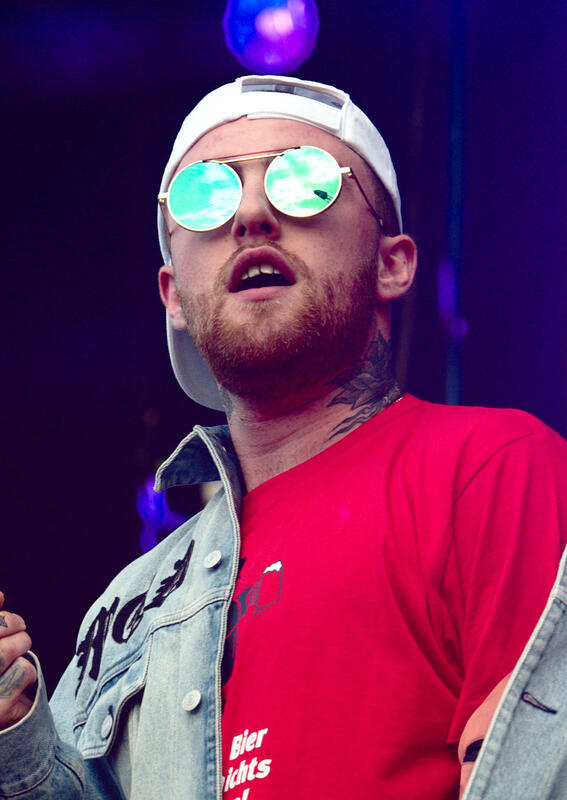 While having a larger fan base, the music of Mac Miller had reached more people than Lil Peep, who had only been popular for a short amount of time. with a bigger fan base than Lil Peep. Of course, this is all relevant to how long they have been making music Mac Miller’s K.I.D.S. came out 8 years ago and Lil Peep’s first studio song came out in 2016. Mac Miller has seven Studio Albums and Lil Peep only has one so the comparison is slightly unfair as Mac Miller had made much more music than Lil Peep over the years. Lil Peep’s family said that he was happy in life though many of his songs are sad and have a depressing feel to them. His brother said after his death “He gets paid to be sad. It’s what he made his name on. It’s what his image was in a sense.” He was very open about his drug use as he claimed in a 2017 interview, “I love to talk about drugs because it is relatable. I am always around different drugs so I sing about it: weed, Xanax, Percocet, lean. I used to do a lot of coke, probably much everything. They’re one of my biggest inspirations.” His condoning of drug use isn’t something that many think to be a good thing as he died at the young age of 21. Avicci died of a suicide but he struggled with mental and physical health problems and retired from live performances in 2016. He turned to drinking as a way to cope with his struggle’s and his family and friends said that he overdid it. He turned to alcohol so frequently that he had to have his gall bladder and appendix removed. Although XXXTentaciondidn’t die of drugs and he divides opinion of moral, he was a known abuser of Xanax. His death may have not been drug-related or caused by an abuse of substance, he did struggle with depression, which he talked about in many of his songs. Drugs are never a good method to use. Self-medication often times doesn’t work and causes more harm then it does good. You can get addicted easily at a young age which causes problems and issues in the future that you can’t resolve. If you or someone you know is struggling from addiction please call 1-800-662-4357 the call is free and could save a life.